Well, Fastlane mostly sucked. And despite consistently entering arenas to a chorus of boos, Roman Reigns is still WWE’s choice for top babyface. So yeah. WWE die-hards have got a lot to complain about as we head into Wrestlemania. 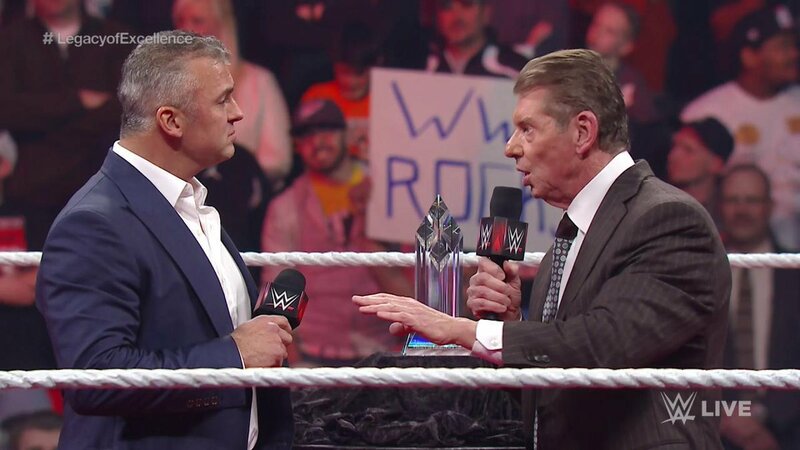 Shane McMahon returns to Raw for the first time in more than five years. Will face The Undertaker inside Hell in a Cell at Wrestlemania. Let’s give credit where credit is due. WWE has given us a lot of crappy TV lately. But this was a total surprise, and a welcome one to be certain. This was totally out of nowhere. And what a reaction from the fans in Detroit! This Wrestlemania thing strikes me as something short term. They were in dire need of something big, specifically for The Undertaker. So they concocted this story about Shane having something over Vince’s head, and wanting control of the company. So Vince puts Shane in a seemingly no-win scenario with the future of WWE on the line. While Shane hasn’t wrestled in years, and he was never the most technically gifted wrestler, I have no doubt he’ll give us something worthy of The Undertaker. But here’s my question: Who are the fans supposed to cheer for? They want Shane to run the company. But The Undertaker is WWE’s greatest, most enduring icon, and he’s synonymous with Wrestlemania. How can they not cheer him? To say the least, it’ll be interesting to see how this story shakes out. Also, it looked like Vince dropped an F-bomb on the air. That’s hysterical. Brock Lesnar and Dean Ambrose to face off in a street fight at Wrestlemania. And with this, we’ve got our top three Wrestlemania matches made a good six weeks before the show. Now push and promote, boys and girls. Fill that arena up. Obviously, plans have changed. They were clearly looking at Brock Lesnar vs. Bray Wyatt for Wrestlemania. But it seems they saw the chemistry Ambrose and Lesnar had, and they wisely changed their minds. This has the potential to be a great story about a relentless underdog who refuses to say die, even though the odds seem impossibly stacked against him. I don’t think Brock has ever had an opponent quite like Dean Ambrose, and I’m very curious to see what he brings not only out of Brock, but out of Paul Heyman on the mic. But again, who do we cheer for? 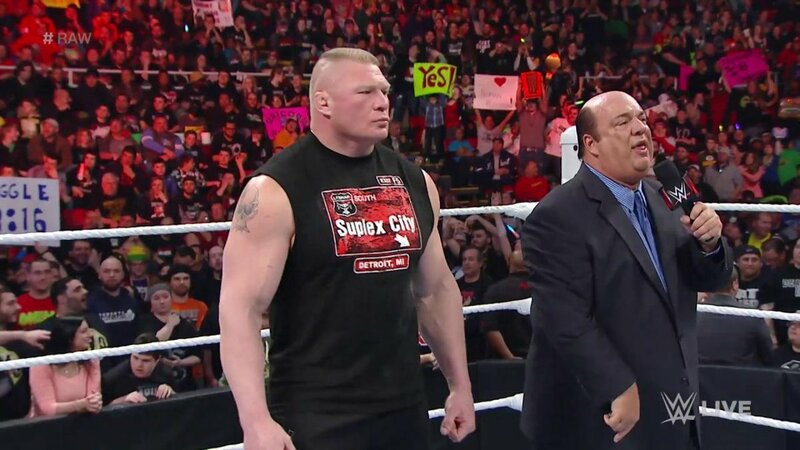 Do we cheer the dominant Brock Lesnar, or the fearless underdog? We have yet another babyface vs. babyface match for Wrestlemania. Triple H bloodies Roman Reigns to close the show. Really nice to see some color. As much as Roman is wrong for the main event of Wrestlemania, this does make this rivalry feel more like a blood feud, pun intended. Here’s my prediction for the main event of Wrestlemania: We’re going to get a repeat of Wrestlemania XXII when Hunter faced John Cena. The fans are going to end up cheering for the heel, and booing the babyface. I don’t see how it could be any other way, especially at an event attended by so many die-hard fans. 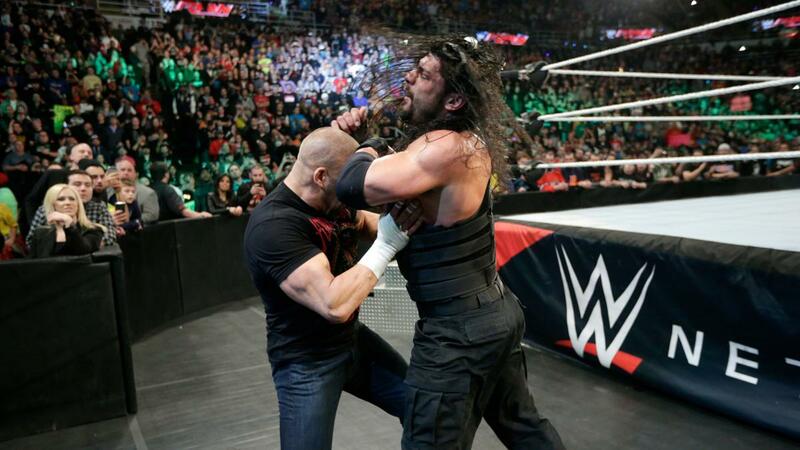 Hunter and Roman have an uphill battle to fight going into Wrestlemania. And I don’t think it’s going to be pretty. Even during Roman’s backstage segments, the Detroit fans were chanting for Dean Ambrose. Charles Wright, a.k.a. The Godfather, announced for the Hall of Fame. I think it’s funny we didn’t get a video package for The Godfather. I’m not saying the real-life Charles Wright doesn’t deserve an induction, but how does a company as image-conscious as WWE justify inducting a pimp character into their hall of fame? It seems like they’d be better served playing up the fact that hep played multiple roles, mostly notably Papa Shango. Still, congratulations are definitely in order. 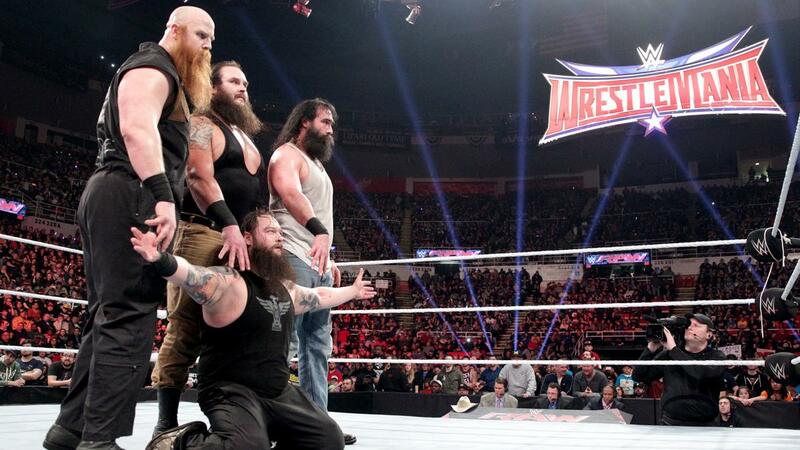 The Wyatt Family def. The Big Show, Kane, & Ryback. Brock being put with Dean Ambrose may be a blessing for Bray Wyatt. He might actually get to win a match at Wrestlemania, and gain some momentum for 2016. The question is, who do you put him with now? The Big Show, maybe? The Wyatts losing at Fastlane was a head-scratcher. If they wanted to do an angle where Ryback walks out on Show and Kane, why not do it at the pay per view? This entry was posted in Wrestling and tagged AJ Styles, Bray Wyatt, Brock Lesnar, Charles Wright, Chris Jericho, Dean Ambrose, Detroit, Hell in a Cell, Joe Louis Arena, Paul Heyman, pro wrestling, professional wrestling, Roman Reigns, Ryback, Shane McMahon, Shane McMahon return, Shane McMahon vs. The Undertaker, The Big Show, The Godfather (WWE), The Undertaker, The Wyatt Family, Triple H, Vince McMahon, Wrestlemania XXXII, WWE, WWE Fastlane, WWE Fastlane 2016, WWE Fastlane 2016 results, WWE Monday Night Raw, WWE rumors on 02/23/2016 by primaryignition.